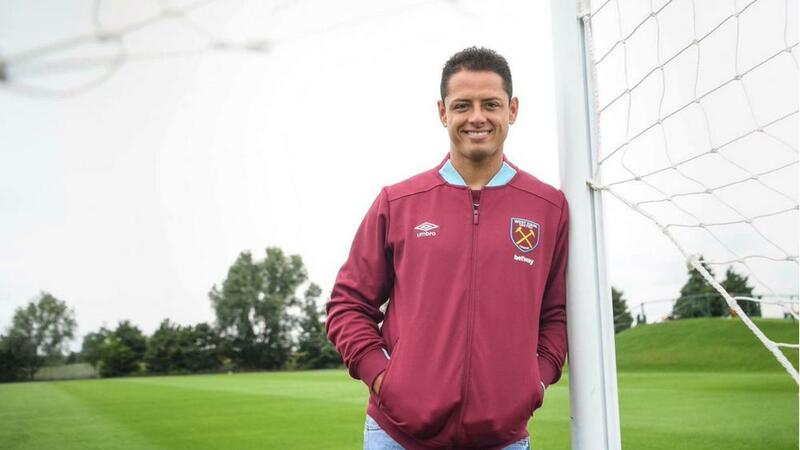 Offers from LaLiga and Serie A were turned down by Javier Hernandez so he could sign for West Ham United. Javier Hernandez has revealed he turned down a Spanish club and two Italian clubs to join West Ham United. West Ham completed a £16 million ($26.3 million) deal to sign the Mexico striker from Bayer Leverkusen this week. Speaking at a media conference, Hernandez said: "I had other options. One in Spain, two in Italy. There were options. In the last two transfers I made it on the last day, now it was more calm, more easy. "Thankfully I'm here in West Ham where I wanted to be, hopefully I can make a very good season and make a lot of good performances so that all the people will be very happy." Manager Slaven Bilic tried and failed to lure Hernandez to West Ham when he left Manchester United for Leverkusen in 2015, having spent the previous season on loan at Real Madrid. "The trainer when he called me three [two] years ago as well, since then we stayed in contact and then when we saw this opportunity we both took it," Hernandez said when asked why he chose West Ham. "And because West Ham is showing more ambitions than last season. They want to do it much better. They want to do similar to two seasons ago when they qualified to Europe. "That's why I am here. I'm in the best league in the world, one of the most historic teams in England as well. We have a very ambitious season and hopefully we can achieve those goals." United boss Jose Mourinho recently said he regrets that the club sold him, with Hernandez's exit coming a year before the Portuguese took over at Old Trafford. "I say 'thank you' to those words," Hernandez added. "I always have thankful words to all the people, all the clubs. All the people around the world that have the time to speak about myself and about my qualities, the way I play or the good things I did in my old clubs or in my country. "It's always very good that a trainer like Jose Mourinho that is one of the best in the world speaks very well about me. I had very good moments and a very good four years in my old club."